So why is Mary so important to our salvation? 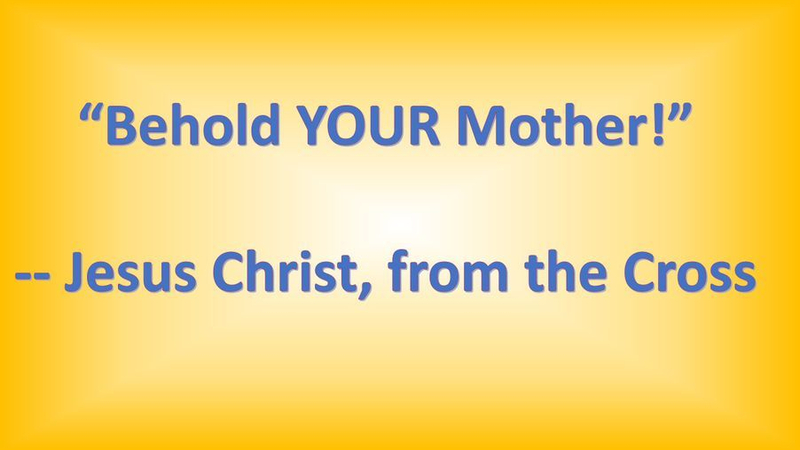 Isn’t faith in Jesus Christ enough without dragging in His mother? Well, no. Jesus chose to come to us through Mary, and we imitate and honor Him in going to Him in the exact same way that He came to us. Mary was the first Christian in the Bible, and the very first Evangelist. The Old Testament became the New Testament when she said, "Be it done to me according to your will. I am the handmaiden of the Lord." In her Magnificat in Luke 1:46, she says that her very soul MAGNIFIES the Lord, which means that looking at Christ through the lens of Mary's soul enlarges Him and brings Him into clearer focus (her soul is still very much alive!). And when the sun’s rays are properly focused through a lens, the result is fire. By worshiping her Son through the lens of her soul, the Holy Spirit also sets our hearts on fire. (Mary is the bride of the Holy Spirit, and where Mary is, there is the Holy Spirit as well. This is why John the Baptist leaped for joy at the sound of Mary’s voice in Luke 1:44). In addition, she says that “all generations SHALL call me blessed.” This isn’t an option, since it’s a biblical command. It certainly isn’t right to put Mary down, as so many Protestants love to do, which is the very opposite of calling her “blessed.” So many people think that to put Mary down is to somehow honor Jesus. Try doing that with your own mother sometime, and see if that makes your father happy. A lot of “Bible Christians” always pull out the old canard that Mary’s dead, so why pray to her? They equate prayers to Mary with necromancy, a forbidden thing to do ever. Necromancy is divining up the dead to gain esoteric knowledge. THIS IS NOT WHAT CATHOLICS DO WITH INTERCESSORY PRAYERS TO THE SAINTS! 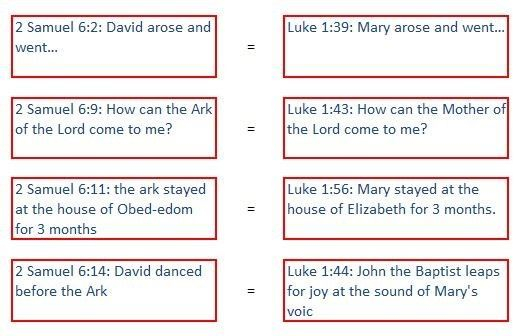 Jesus Himself says in Luke 20:38 that “God is not the God of the dead, but of the living,” so the people who say that “Mary’s dead” are more like atheists than Christians, because atheists really believe that Mary is dead and gone. Catholics know that everyone ever born is alive somewhere – on earth, in hell, in purgatory, or in heaven. And this word “pray” has a lot of non-Catholics confused, because they mistakenly believe that “to pray” can only mean to worship God. But the verb “to pray” only means “to ask,” and that is the context we use when we “pray to Mary.” We only ASK her to pray for us! We certainly can ask people who are alive to intercede for us with God through prayer. Why should we do this? Because in James 5:16, God says that the prayers of a holy person are very powerful. By invoking Mary, we are asking the one person chosen by God from all people ever born to be his earthly tabernacle (for 9 months), to intercede for us in prayer. Mary is not only the pure and holy daughter of God the Father, she is the bride of the Holy Spirit (JESUS WAS NOT ILLEGITIMATE!) and the Mother of Jesus – a truly unique relationship with the Blessed Trinity. She is not standing BETWEEN us and God, but rather, she is standing ALONGSIDE of us in petitionary prayer, and she can pray for you while you are asleep, while you are at work, and even while you are sinning! The devil never sleeps, and neither do the saints. So many people equate the devil with being the opposite of Christ. But Christ is God, and has no opposite. The devil is a created spirit, who is evil and death personified. His opposite is the Blessed Virgin Mary, who was also created, and who is now in heaven, who is goodness and life personified. In the Davidic Kingdom, the mother of the King was always the Queen, because the King usually had too many wives to pick one out as Queen. The Queen Mother, or “Gebirah” in Hebrew, could really help out her son the King in making good decisions, since she had been one of the wives of his father, the previous King, in the generation before. The Hebrew root word for Gebirah has the connotation of “warrior.” The Queen Mother was so close to her son, the King of Israel, that people often went to her with their request for the King, instead of going directly to the King himself. The model for this is in First Kings 2:20, when the Queen Mother of Israel, Bathsheba, interceded on behalf of Adonijah to her son, King Solomon. Queen Bathsheba even sat at King Solomon’s right hand! Another instance of the Queen Mother intercession to the King is in 2 John, when the wine stewards went to Mary about the lack of wine for the wedding feast at Cana. Mary’s last recorded words in the Bible were to the wine stewards concerning her son, the King of Kings, Jesus – “Do whatever He tells you.” And that is her role today as well – to intercede for us to her Son, and we in turn should do whatever he tells us! Mary is also the new Eve. Whereas the immaculately created Eve said yes to the spirit Lucifer which allowed damnation to enter the world in the first book of the Old Testament, the immaculately created Mary, in the first book of the New Testament, said yes to the spirit Gabriel, which allowed salvation to enter the world. Eve gave us forbidden fruit which caused us to die, whereas Mary gave us the Eucharist (Jesus) which gives us eternal life. Eve came out of Adam; Jesus came out of Mary. Mary is also the New Testament Ark of the Covenant, because she had the Word of God (made flesh) inside of her, like the Old Testament Ark had the Word of God (in stone) inside of it. The Old Testament Ark also had the daily bread from heaven called manna inside of it; Mary likewise had the daily bread of life inside of her for 9 months, Jesus, the Eucharist. John says in Revelation 11:19 that he sees the long lost Ark in Heaven, and then proceeds to describe it for us in Revelation 12:1 as a “Woman clothed with the sun,” and who is about to give birth to the savior. This can only be one person, the Blessed Virgin Mary. Some people say the woman in heaven is Israel, but scripture is clear that people, not countries, wear crowns in heaven (2 Timothy 4:8, James 1:12, 1 Peter 5:4). Mary certainly represents Israel by wearing her crown of 12 stars (the 12 tribes of Israel). Some people say that the Woman is the church, but Jesus gave birth to the church, not the other way around. Again, Mary represents the Church with her crown of 12 stars (the 12 Apostles). Later on in Revelation 12, we read about the war between the devil and Mary, which was first mentioned way back in Genesis 3:15, where God said that there would be enmity (lifelong hatred) between “the Woman” and the devil. This is reminiscent of St. John Bosco's dream with the secular boats attacking the Church boat. Jesus always called Mary “Woman” for a reason – not only to remind us about Genesis 3:15, but also to let us know that she is the new Eve, as Adam called Eve “Woman” as well (Genesis 2:23). Revelation 12:17 says that we are Mary's children if we obey the commandments and bear testimony that Jesus is the Christ. Since we are her children, and she has the power of God as her protection in the war against satan, who better to call on to help us win the battle with satan? This battle is a great bookend – In the first book of the bible, Genesis 3, there is a man (Adam), a woman (Eve), and the devil. The devil wins, and mankind is thrust out of paradise. In the last book of the bible, Revelation 12, there is a man (Jesus), a woman (Mary), and the devil. This time the devil loses, and mankind can now reenter paradise. In other words, God fixed the problem in the same way it was caused – with one man and one woman! 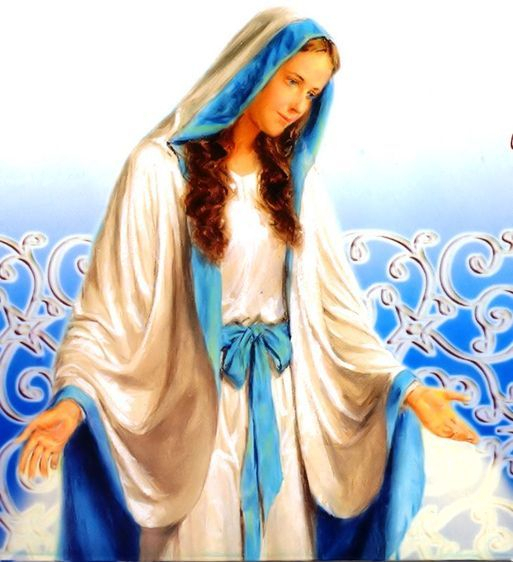 Mary was not only a virgin when she conceived Jesus through the Holy Spirit, she remained a virgin forever. So many people use the phrase, “Joseph knew her not until she bore a son, Jesus,” to say, “AHA! The word “until” proves that she had other children!” But if you tell your kids to “Be good UNTIL I get home,” you are not expecting them to be bad after you get home! Jesus said that “I will be with you UNTIL the end of the world.” Of course, the same status applies to Jesus being with us after the end of the world as well. So the word “until” does not necessarily mean a change in conditions after a time period, like so many people think. And besides all of that, we know that Mary is the New Testament “Holy of Holies,” the place where the Word of God (made flesh) dwelled for 9 months. In the Old Testament, the Holy of Holies was the location in the temple which held the Ark of the Covenant (which contained the Word of God in stone), the huge lit Menorah, and the Bread of the Presence. The Ark of the Covenant was seen as God the Father’s footstool, the lit menorah represented the Holy Spirit, and the Bread of the Presence represented the Son of God. And since the High Priest is the only person who could ever enter the Holy of Holies, and only on the day of Atonement (to offer up sacrifice for the people’s sins), that also is an indicator that she is ever-virgin, since Jesus is the eternal high priest who continually offers himself up for the sins of the people, and is therefore the only person allowed in her womb, New Testament Holy of Holies. (Vows of celibacy for Jewish married people can be found in the Old Testament, in Numbers Chapter 30). Also, the word "tabernacle" in Hebrew means "to dwell," so Mary is also God's tabernacle, since he dwelled there for 9 months while he was a "fetus." A VERY important point to think about is that there are 2 ways to cast light on the earth - One is through the brilliant rays of the sun, and the other is by the reflected rays of the sun by the moon. Jesus and Mary are like that - Jesus heals us with his direct graces, which are brilliant, and Mary is like the full moon, reflecting those graces into our souls. While Mary is sinless and like the full moon, fully reflecting God's graces, most of the rest of us sinners are like quarter moons due to our sinfulness, or in some cases, new moons, never reflecting the light of Christ onto the world. That is why devotion to Mary is so important, because then we receive more of God's graces through her, and this helps us to illuminate the very dark world we live in. And during the day, we have the brilliant sun shining on us, with a blue and white sky surrounding it. This should be a constant reminder to us of the brilliance of the graces shining forth from Christ, through the blue and white mantle of His mother, Mary. Finally, Mary's example to us with her words, "Be it done to me according to THY Word," is the epitome of what our attitude should be towards God. We should all submit our own will to God, in order that His will for us would become our own will. Most of us try to make it the other way around!